Welcome to the Alumni page of the T Squared website. In addition to making a connection with each of your at college this fall, I have also been creating our website! 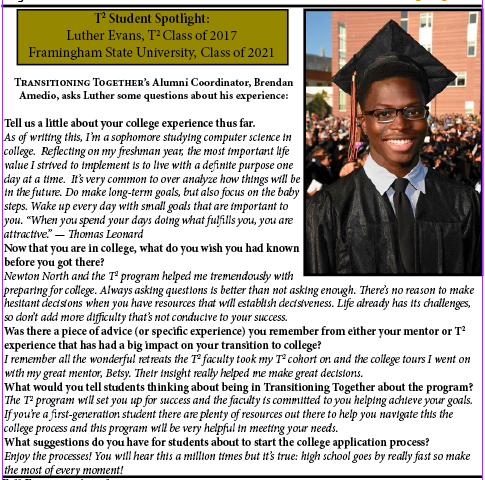 We thought it was important for us to have a website that served as an online home base for current T Squared students and mentors as well as Alumni of the program. My hope is that the website will allow us to stay connected even as you all take on new adventures away from North. I will post information and resources for you on the Class of 2014 page of this website. You may also find useful information on the Resources page. I have connected with many of you and have heard many wonderful stories of your college experiences. Now as alumni of T Squared you have an even more important role in our program. You now have first hand knowledge of the college experience as first generation college students. You now have the opportunity to share your stories and experiences with the students following in your path. 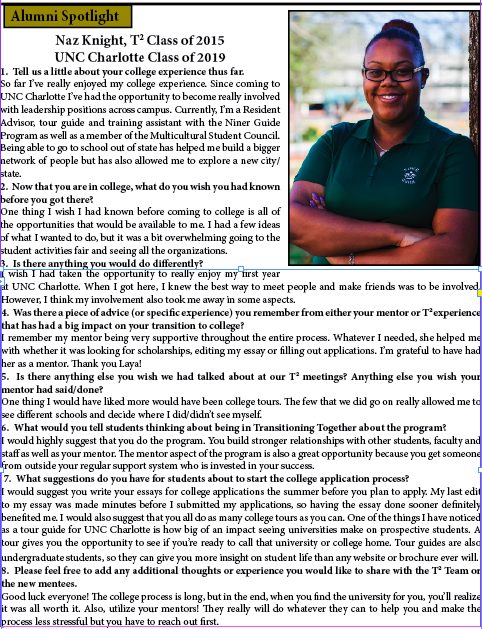 I am very pleased to present Patricia as the first Student Spotlight on our new website. I look forward to to hearing more from each of you and hope to have a monthly Student Spotlight. Please feel free to connect with me at anytime. 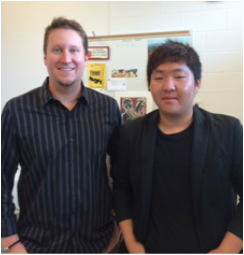 T2 Alumni Coordinator Richard Labedz with Eunsuk Kim. 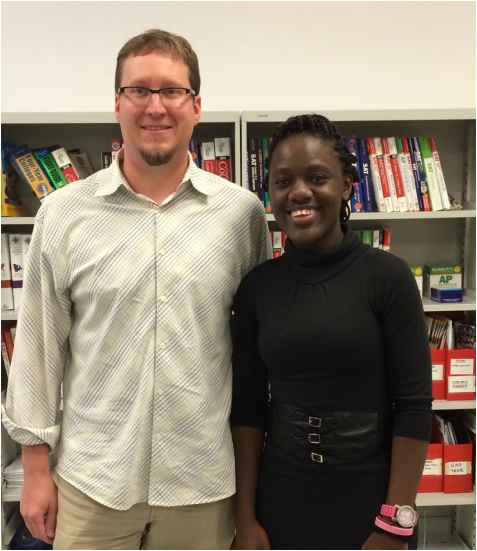 T Squared Alumni Coordinator Richard Labedz with Patricia Muumba.